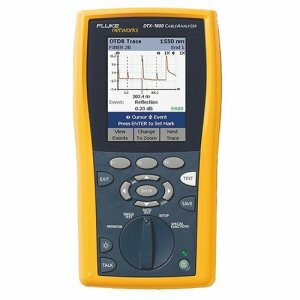 DTX-1800 Cable Analyzer Series from Fluke Networks is the testing platform for today - and tomorrow. This revolutionary new future-proof platform significantly reduces total time to certify by improving every aspect of the testing process. 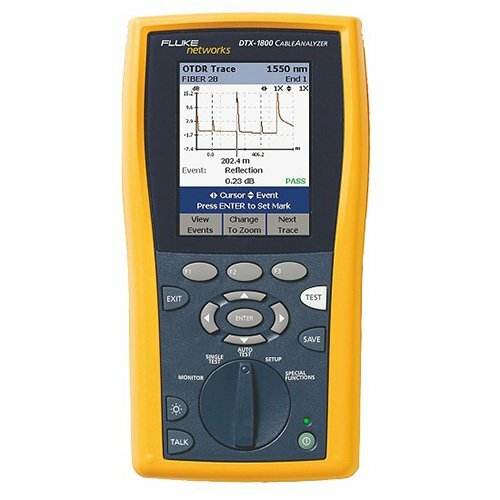 It all starts with 9-second Cat 6 Autotest that means you can meet TIA-568-B and ISO 11801:2002 certification requirements and receive structured cabling warranties much faster than ever before. With all this speed also comes increased accuracy. The DTX is the only independently verified tester to obtain UL classification for ISO Accuracy Level IV. And, the DTX 10 Gig Copper Kit together with DTX-1800 delivers on the promise of a future-proof investment - measuring 10 Gig cabling performance and Alien Crosstalk (ANEXT and AFEXT) in full compliance with the industry standards to 500 MHz. The AC Wiremap feature validates twisted-pair cabling for Power over Ethernet services in accordance with TIA/EIA standards, even if a Midspan power supply is used. With the DTX Series, you're ready for whatever the world throws at you - today and tomorrow. DTX - it's all about time™. option = The accessory can be purchased as an optional item.